Nón Lá or Conical Hat is a traditional symbol of Vietnamese people. This style of hat is used primarily as protection from the sun and rain, or a basket for women going to market, a fan of a farmer in hot summer days, and even as a memorable keepsake. The image of a young lady wearing Nón lá and Áo dài is a beautiful symbol of Hue people in particular and Vietnamese in general. 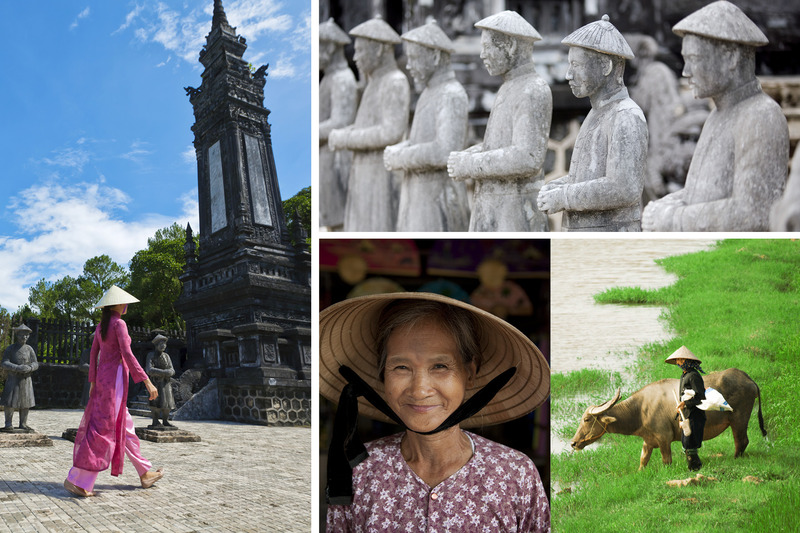 Conical hats supposedly appeared around 300 – 400 years ago in Vietnam. Recently, Hue people started to embroider and draw poems on the hats, calling them Nón Bài Thơ (Poem Hat), making it a beautiful gift for their friends and families. Made from bamboo and layers of dried palm leaves, nón lá requires great skills, and even the most skilful workers can only make an average of three hats a day.